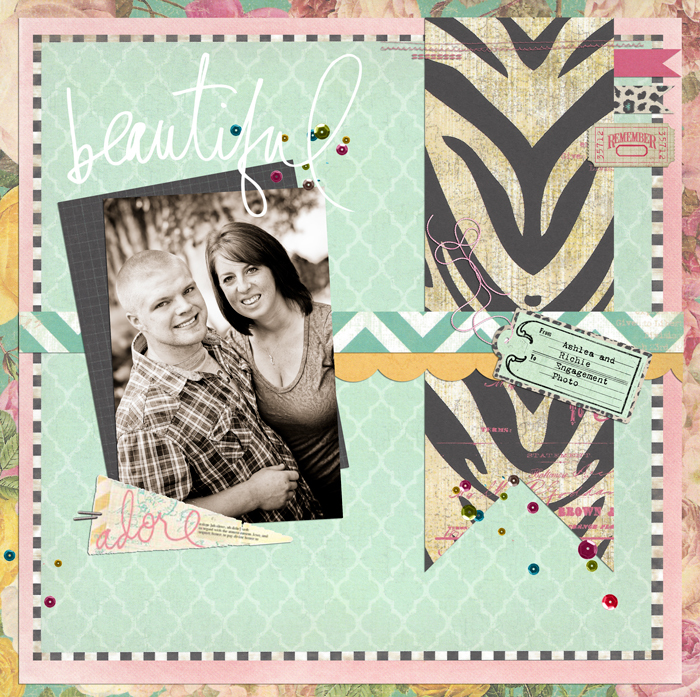 I made this digital layout using Heidi Swapp's Sugar Chic collection. This is one of Ashlea and Richie's engagement photos. I just love the black and white/sepia tone of this photo.